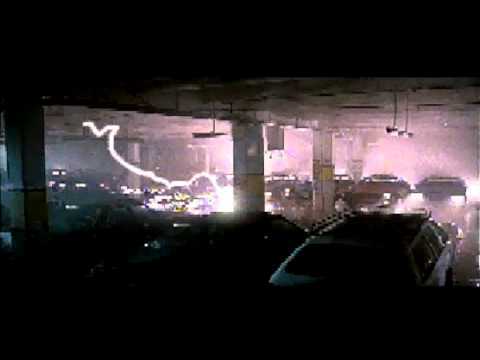 3: In the film, the quickening was a bright light (except the final quickening at the end). While in the series, the quickening's were lighting. 4: In the film, the immortals could stay underwater for as long as possible without consequences. In the series, the immortal's couldn't stay underwater (for some reason that was never explained). If someone could think of an explanation to reconcile the differences, let me know. I reconcile it this way. For me, the simplest answer is the truth. The movie is not the same universe as the tv series. 1: They made the series and decided that the best way was to simply have a different story. One where the Gathering was about to happen, not where it was already over. So in the series, Connor's battle with the Kurgan was just not the final battle. There are multiple Immortals in the same city at the same time because there are multiple Immortals. Seacouver seemed to boast Duncan MacLeod, Kiem Sun, Andrew Ballin, and apparently many many years ago Korolus. That was just in Season One. 2: The series writers might have decided that, aside from the needs of the plot, such instant recovery might only be expected of the last Immortals. 3: The movie came out in theaters in March 1986. They made more decisions for creative Quickenings that were not necessary with only three in the movie. 4: Simply for drama's sake. 2. The Kurgan was an exceptionally strong immortal. As there were other immortals with talents in the series. 3. In the series there were also different Quickenings. from just a puff of smoke to electric lightning to pyrotechnics. 4. People can stay underwater without much problems for several minutes, Immortals due to their healing factor probably can do that longer even without training. How long were immortals under water in movies compared to films? Do we ever actually see immortals underwater in the series? It's been a while since I watched the whole show, so I don't recall. What I do recall, however, is mention of Amanda going down with the Titanic in The Raven, so that would seem to suggest the water thing is still canon even after the retcons to the movie... or at least I've always taken it as such. As for movie retcons in general, when you make a continuance to such a singular story, you have to take liberties to retcon the content. Some do this quite well (Stargate SG-1, for instance, only retconned away the reveal of Ra's true form), while others throw the original out the window (like Buffy the Vampire did with its references to events from the film playing out in completely different ways than they did, which was a result of Whedon choosing to sequelize his original script, rather than the film, itself). Highlander chose to retcon the idea that the Gathering was at hand, and that Connor was the last in the end, Apart from those plot details, however, everything can be assumed to have happened as shown, which is why there was a reference to Connor killing the Kurgan in season two. They wanted us to know it happened, even though the primary plot device had been retconned. Finally, concerning the quickenings and injuries? Well, that's really all just due to stylistic and story choices made after the fact. Some fans may like to come up for reasons in universe for these sorts of things, and that's fine, but I think the reality of production makes things just so much simpler and easy to take as a viewer. We don't really need to reconcile everything. As long as you can enjoy it, regardless, I say just let it go... that's why I can happily sit down with a bowl of popcorn and watch Highlander 2. Oh, James, if you're going to worry about continuity, don't compare any of the films to each other! (shrugs) I think the discontinuities occur when there is a different group of writers and and actors and they kiss off the time lines and Canon. I want to say " Different Time, Different Vision " ... Maybe that's why. My personal thought? You have to do one of two things here. Ignore any mention of the Gathering in the first movie (they're just Immortals who happened to cross paths during the same week in New York) or treat 1985 as the beginning of the Time of the Gathering that begins then and lasts for decades (these are Immortals, things can happen more slowly). The real answer is they hadn't worked that out yet. Though it could be construed that maybe the more Quickenings you have in you, the more punishment you can withstand before temporarily dying/passing out. Actually the opposite. Think, Xavier St. Cloud diving into the water and getting away from MacLeod. The dude wasn't coming up for air. Also, there was a debate a while back. If you get knocked out, THEN fall in the water (what looks like happened to Duncan in The Samurai) then you just stay unconscious. If you are awake when you go underwater... you can stay conscious there longer, maybe indefinitely (like Connor in the lake). Maybe. You aren't, by any chances, Jaime Reborn, somecallmejames? I know that some humans like pearl divers and free divers can stay under water for fifteen to twenty minutes at a time without tanks. We know Amanda and Duncan were shot and left in the bay several times. We don't know how long they were underwater just that they recovered and were able to swim and walk out onto shore. Daimler on the other hand was shot and then chained down under water for decades. He was very upset about it. If I remember correctly he said it took him decades to get free and plenty of time to plot his revenge. That implies that immortals can heal from death and then survive underwater until they can make it to shore. Kit O Brady implied that he was on a ship that went down in the Pacific Northwest and that it took forever to make it back to shore. Amanda was shipwrecked on the Marie Celeste on The Raven. She made it to shore using the wreckage. I don't recall her mentioning the Titanic. Now I have to watch it again. Perhaps the length of death is determined by depletion of something recuperative? So, poisonous snakes have a limited amount of venom and if they bite something and then bite something else, the second bite has less venom in it. if an immortal has had to recover recently, perhaps the next recovery takes longer? I thought not, as the spelling is different. Maybe they're Angelic beings here to face demons like Ahriman, but got old and bored while waiting and started killing each other for sport, even going so far as to call it all a game. Maybe they're aliens from another planet, sent here as punishment for crimes against a repressive government. Maybe they're ancient humans from a distant past, sent forward in time for the same reason. Maybe they're children generated as energetic offspring from a powerful astronomical alignment, placed indiscriminately near human villages by a guardian, who has been trapped in servitude for thousands of years. Who knows.